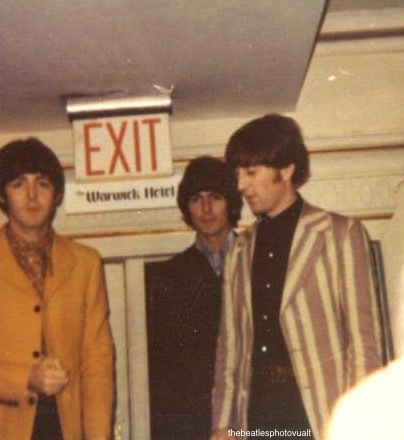 August 22, 1966 was labeled as a "day off" for the Beatles, but it really wasn't a day off at all. 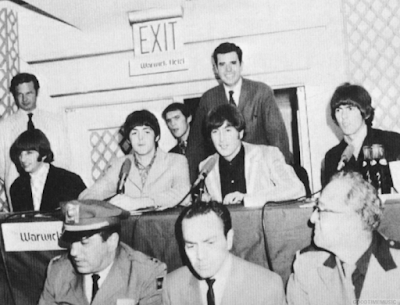 They had two press conferences scheduled on this day. 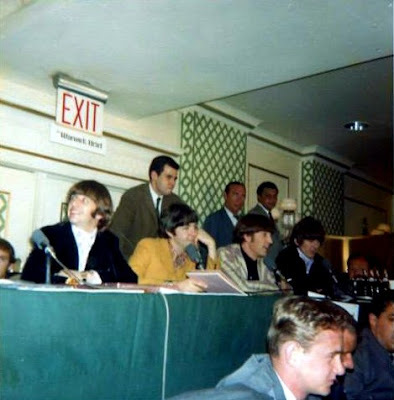 The first was a regular press conference for the press and the second one was a new idea that the Beatles came up with along with one of the New York radio stations. They decided to have what was called a "Junior" press conference after the regular one. 150 fans (50 from a contest with the radio station and 100 picked from the New York fan club) were invited to come and ask the Beatles questions. 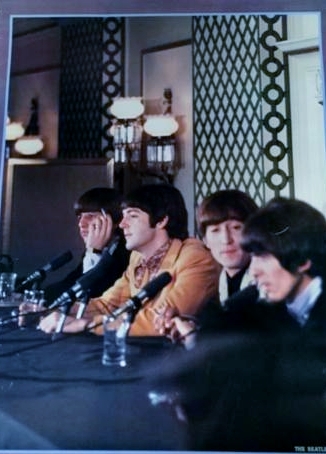 Things were a little wild and there was some screaming, but overall the Beatles enjoyed the atmosphere of the Junior press conference and a chance to talk to their fans. A few fans asked questions like "do you know so and so??" But most asked pretty good questions that the press folks wouldn't have thought of. 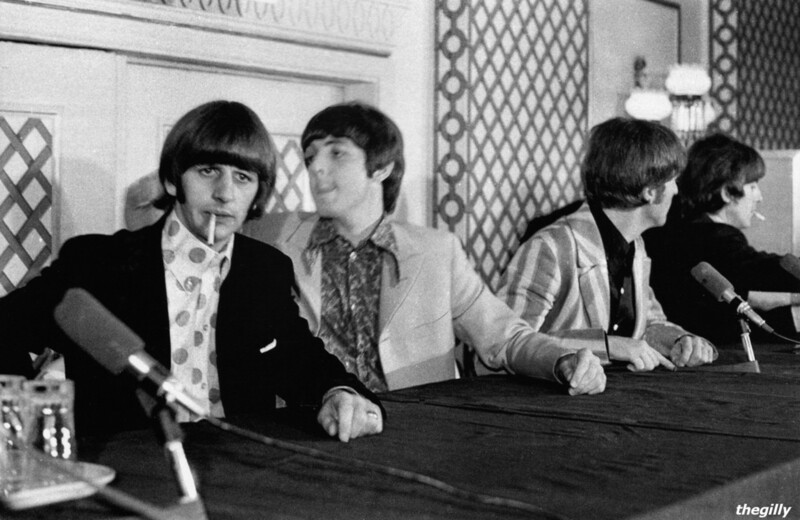 And do you know what Brian Epstein did on this day 50 years ago? 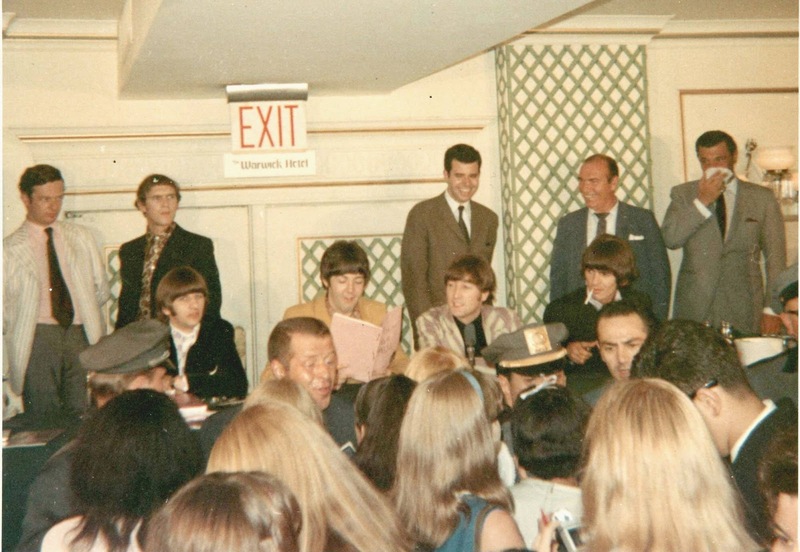 Yes, he was at the press conference, but he also was on the Tonight Show with Johnny Carson! I found this out when I was doing research for my book. Brian was interviewed all by himself and as far as we know, no audio, video or even photographs exist. We wouldn't have even know that this happened if it wasn't for a major Brian Epstein fan that wrote about it in her diary! 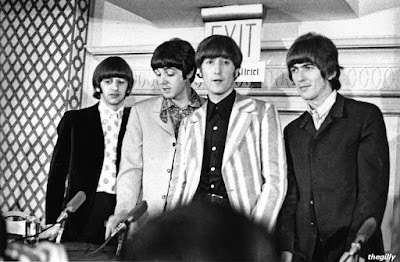 Since the Beatles wore the same thing during both press conferences, it is impossible to tell from which part of the press conference the photos are from. I only uncovered this myself just a few days ago and when listening to it, they do talk about the upcoming show the next day in New York, so that helps in identifying it. I also learned, after the fact, that there is a claim that it was Hugh Downs who hosted the show that day. I was having difficulty myself when listening to it because I did notice the voice kind of did not sound like Johnny Carson, but then some times it did to me. There is also one guest who speaks out in support of John and his name is Larry and even though Hugh says the full name early on in introductions to Brian, I still can't catch who it is. Anyway, thank you so much for all you do. I have learned much from your site and wanted to share this back with you! I can't thank you enough for sharing this interview! 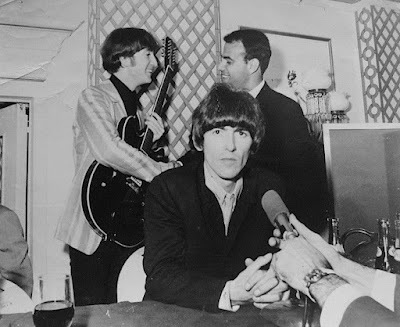 I looked and looked for it online and couldn't find any information about it except for the one fan that I talked to that mentioned in it in her diary and she didn't have any memory of the interview except that Brian Epstein was there without the Beatles. So to hear the interview is really awesome! What a great interview! I am not sure who "Larry" is, but he made a really great point. Thanks so much! 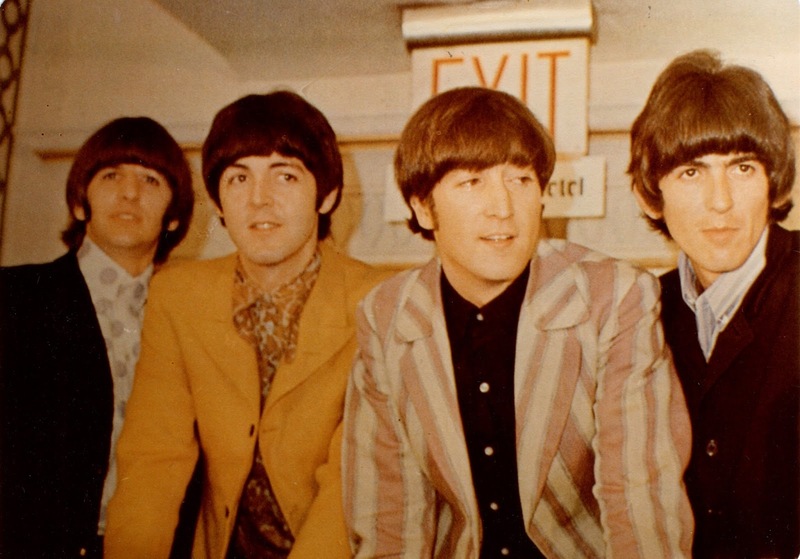 I love how working together we can discover new information about the Beatles. I agree! The same person that mentioned to me that it was Hugh Downs hosting that night, says the name of the person who spoke up is actor, Larry Blyden. The names of the guests are mentioned in the first 15-20 seconds, but I still couldn't make them out myself. Thanks again for all you do!